Install Smart Meter and Run it continuously on your Android Phone. After Installation they will ask you to register on smartphonemate and automatically it will start Running. NOTE:- Please Ensure that your GPRS Pack or any other Internet service Provider such as Wi-Fi can be used. You will be surely receiving Rs. 100 per Month Topup. I am Using Smart Meter for last 6 month and every month I get Rs. 100 Topup for them. You don’t have to do anything in this Application Just have to Install this app and You Internet should be connected for atleast 1 hour. 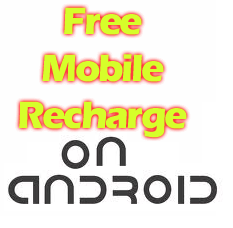 Enjoy Free recharge on your Mobile and Stay Tune with Us.